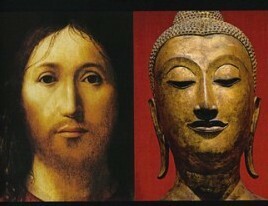 Pure Buddhism. No Such Thing. The season of charcoal being fired up in the grill is nearly on us. Tasty burgers, tender zucchinis, rich steaks, sweet red peppers, plump hot dogs, crunchy asparagus, barbequed pork steaks, slices of juicy pineapple . . . just to mention some . . . will soon add their delicious aromas to the smoky air. 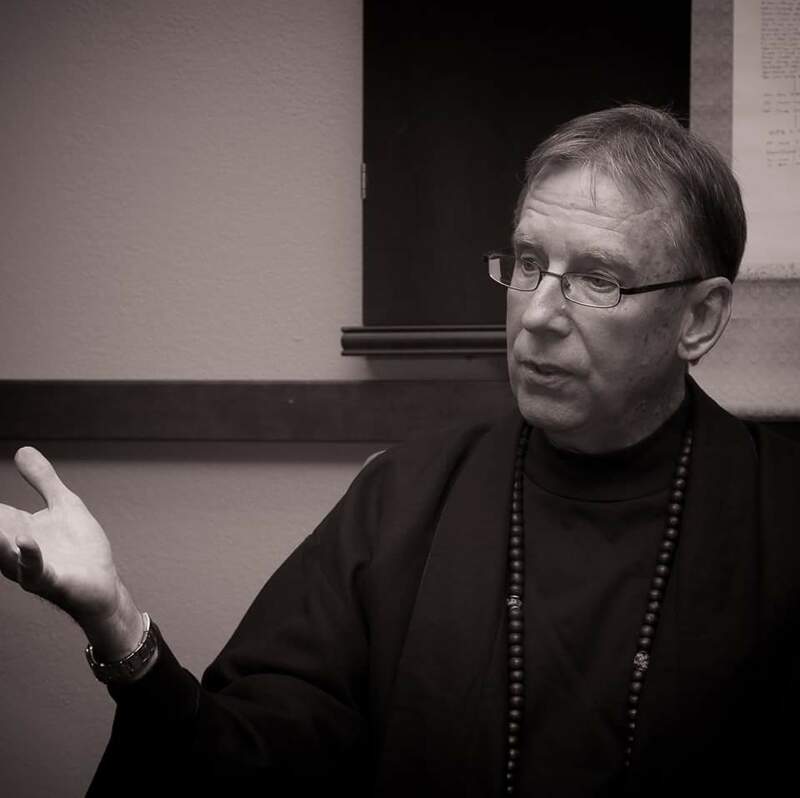 What is a Buddhist to do? One of the most frequently asked questions about being a Buddhist is, “Do I have to be a vegetarian to be a Buddhist?” The answer is no. Though opinions and scholarship differ depending on Buddhist tradition or personal preference, in the end it doesn’t really matter whether, like some Mahayanists strongly believe the Buddha was a vegetarian or not. In the Mahaparnibbana Sutta the dish that the Buddha was served prior to his death was called sukara-maddava (soft pork) and there are differences of opinion whether it was actually pork or a dish of something associated with pigs, mushrooms being one translation put forth. Consider hot dogs. There is no dog in them. This may be the case with sukkara-muddava, no pork in it. Here again, does it really matter? 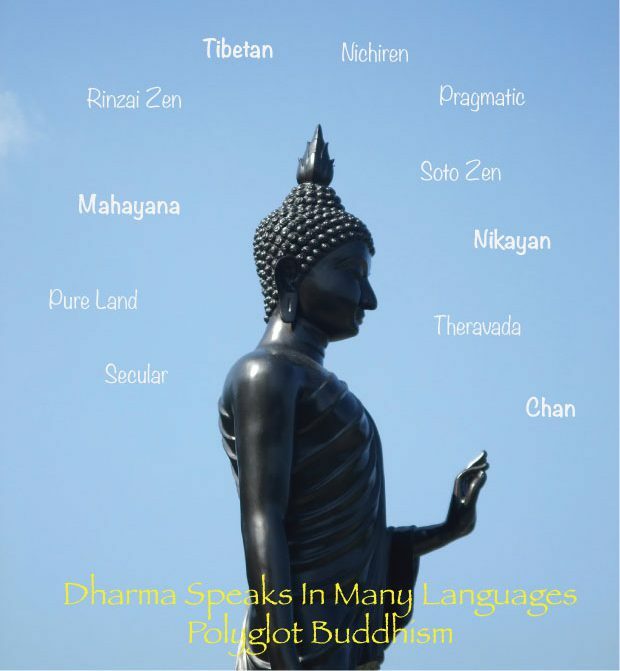 This inevitably brings up the next question, “What about the Three Pure Precepts: cease to do harm, do only good, do good for others?” While later Mahayanist texts like Lankavatara Sutra strongly favor a vegetarian diet it came about through cultural changes as Buddhist monks began to gather in fixed location monasteries and monks no longer performed alms rounds. Before that the Buddha instructed all monks to wander, to visit the towns and villages, to accept the alms they were given, to teach and to examples to others. Whatever was put into their alms bowls was what they ate, and it was sometimes meat. Once the monastics spent the majority of their time in monasteries the local lay people began responsible for suppporting them. This meant that any meats were most likely killed and butchered by the lay people specifically for the monastic community, one of the Five Instances to be avoided in the consumption of meat that the Buddha explains in the Jivaka Sutta. Zen Master D.T. Suzuki in his commentary on the Lankavatara Sutta states that the chapter dealing with eating meat was added in later versions of the sutta and was likely not the authentic words of the Buddha. There is ample evidence in the Pali Nikayas that show that this total rejection of meat as part of the diet was not part of early Buddhist philosophy. The five instances the Buddha speaks of are: 1) if a specific living thing is requested, 2) if the living thing is being mistreated or mishandled, 3) if the intent was the animal was killed directly for the consumption of the monk, 4) if the living thing is nervous or frightened, 5) if knowing any of these things have happened and the person eats the meat anyway. In any of these instances either the consumer, the provider, or both will accumulate demerits. Pragmatically speaking the word demerit is a placeholder for the concept of engendering negative karma. By participating in a negative act there will be negative consequences that we may, or may not realize ourselves. A simple example would be that because the abuse of one animal is accepted then the door is open for the same to happen to others. This sutta offers that if one wants to make a case for their own choice of vegetarianism it should be from the platform of loving-kindness and equanimity, not from a misguided idea that the “Buddha said so.” Remember it is also about psychoemotional suffering or unsatisfactoriness that eating meat might cause you as well as the harm being done to other creatures. The first Pure Precept directs us to “cease to do harm”, to refrain from unintentional acts of killing whenever possible. Eating meat is not considered an instance of killing as long as two basic rules are followed: the animal is not tortured or made to suffer, and the meat was not specifically butchered for the monk with their knowledge. So, the issue is causing unneeded pain to animals. It is important to keep in mind that this admonition was for monastics though it can be viewed as a guide to the devout lay person also. Isn’t the meat we get at the grocery store or local Farmer’s Market killed for us “by proxy”? There is little we consume that hasn’t entailed “killing by proxy” from the electricity we use, the houses we live in, and the clothes we wear. Buddhist scriptures and books are written on paper whose manufacture resulted in the destruction of animal habitat. There are insects, rodents and other critters killed to produce even a vegetarian diet. It is impossible for us to separate ourselves from the reality of the Universe we live in. What we can do is be mindful of where our sustenance comes from and let that guide our intent and limit our consumption. To better understand this “Middle Path” to the eating of meat we have to look to history as well as intent. In Siddhartha’s time and culture there were no ‘Buddhists’ but there were holy men, seers and mendicants of all types, including followers of the Awakened One who subsisted off the generosity of the people. Lay people offered food out of respect without considering the strictures of the receiver. When meat was offered the monk accepted it graciously and ate it. To reject such an offer would have caused suffering in the person offering it and deprive the lay person of performing a selfless act, one that would gain them merit in this life. Buddhists all over the world eat meat. In some parts of the world it is common for meals to be cooked in a broth made from meat or fish. As it is unseemly for a Buddhist monk to make special food requests they would have to make a simple choice: eat or starve. You may have seen or heard the stories of Tibetan monks sifting through dirt to save worms and bugs from being harmed during the building of a temple. 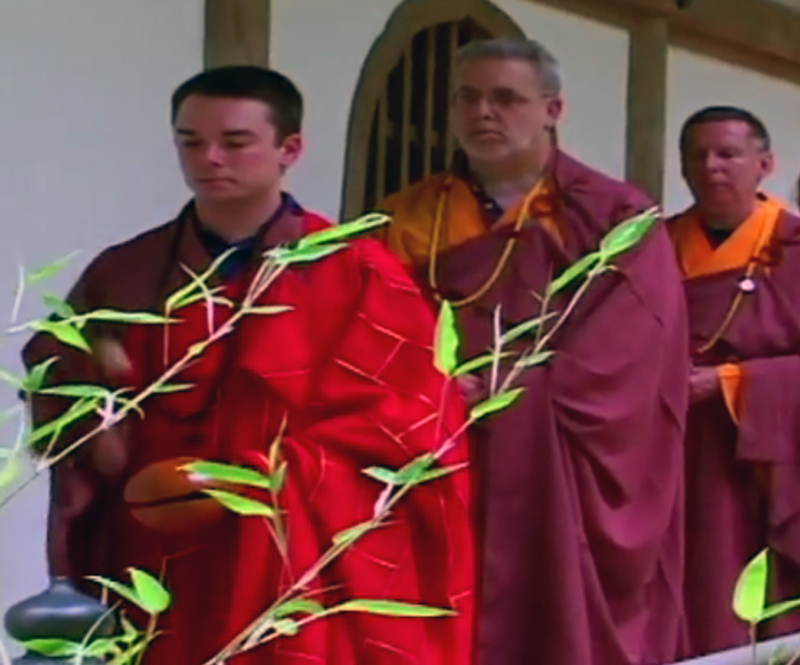 Some of those same monks regularly have meat as part of their diet. This may seem contradictory but what it is is situational. There is a need for the human body to have protein, there is a need for the lay person to garner merit in the Tibetan culture, but there isn’t a need to cause unnecessary suffering to living beings. The monks and lay people certainly don’t save every worm and bug but they do what they can, their intention is good and the effort is one that builds merit in their Buddhist culture. In our own time and culture there are Buddhists, and those of other worldviews who are smug vegetarians likely to judge others for eating meat. In contemporary Theravadan view a monk or lay person who claims spiritual superiority because they are a vegetarian is considered to have an immature practice, one where the ego is still prevalent. In the Frequently Asked Questions section of the Accesstoinsight website in answer to the question: “Do Buddhists have to be vegetarian?”, they answer that the choice of whether or not to eat meat is a personal choice in Theravadan Buddhism. Though many who choose to follow the Middle Path may eventually decline to eat meat out of compassion for animals, vegetarianism is a choice not a commandment. This is a complicated issue whether one is a Buddhist or not. Buddhist philosophy doesn’t demand that one be a vegetarian but it does offer us ways to make that decision on our own. Whichever we choose, herbivore or carnivore or omnivore we must remain mindful of our interconnection with everything around us. As part of our daily practice we must develop an awareness of those connections and what we eat can be an opportunity to practice. 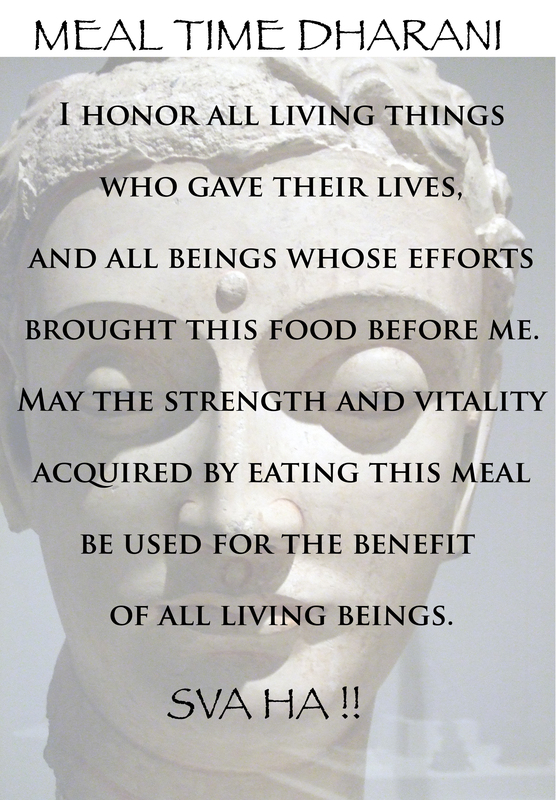 Before each meal take a moment to respect the journey what you are about to eat took to get to you. ADDED REFLECTION: Rev. David Astor mentioned that he sensed a flaw in the logic and no doubt others will too. Consider that the primary focus of the Buddha was the alleviation of the psychoemotional suffering of human beings, the elimination of unnatural cravings that cause that suffering. He recognized that this was a condition faced by sentient beings. Note that in most of the texts the term “sentient beings” is used. Does this mean the Buddha had no feelings for life other than human beings? Absolutely not. That is clearly presented in the Five Instances spoken about below. The Buddha did not want animals to suffer unnecessarily but those same animals do have a role in the flourishing of man. These points are key to the Buddha’s presentation of the Five Instances, and of the alleviation of psychoemotional suffering. If one chooses to eat meat then we have the responsibility to minimize and/or eliminate the suffering of those animals, and the Buddha taught ways to assure that. Should one choose to not eat meat at all, so be it. 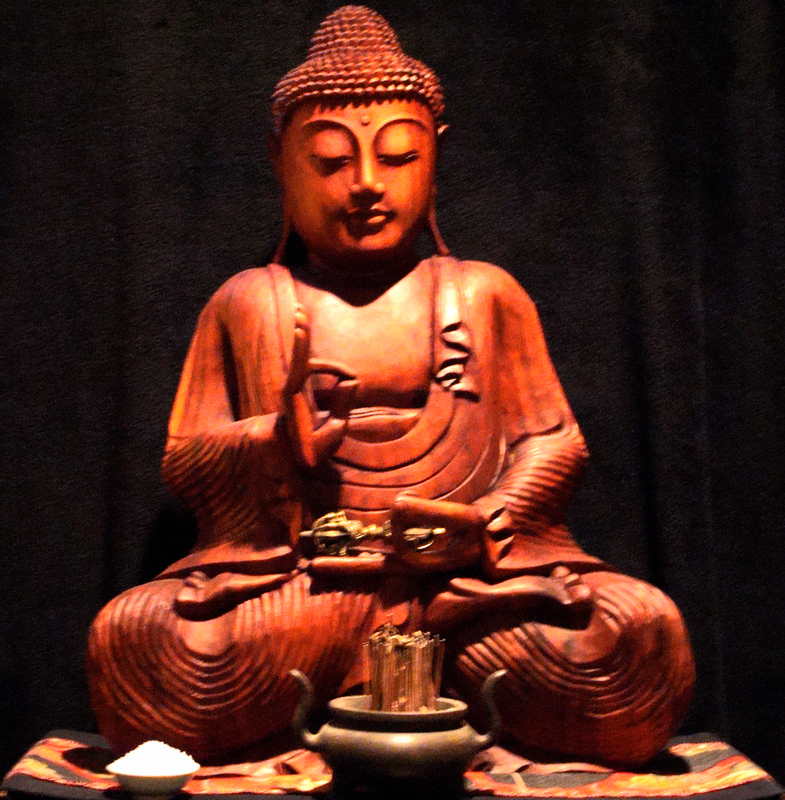 The Buddha Center in the virtual world of Second Life is a non-denominational Buddhist resource where all are welcome. I, Wayne Ren-Cheng am in my eighth year offering the dharma in this beautiful, peaceful space. The EDIG/BC sangha invites you to join us Fridays at 2pm Second Life Time (SLT is U.S. Western Time Zone) and Mondays at 11am SLT. EDIG sangha in the early days of the Buddha Center. I vow to lead them all. I vow to extinguish them all. I vow to master them all. I vow to follow it completely. 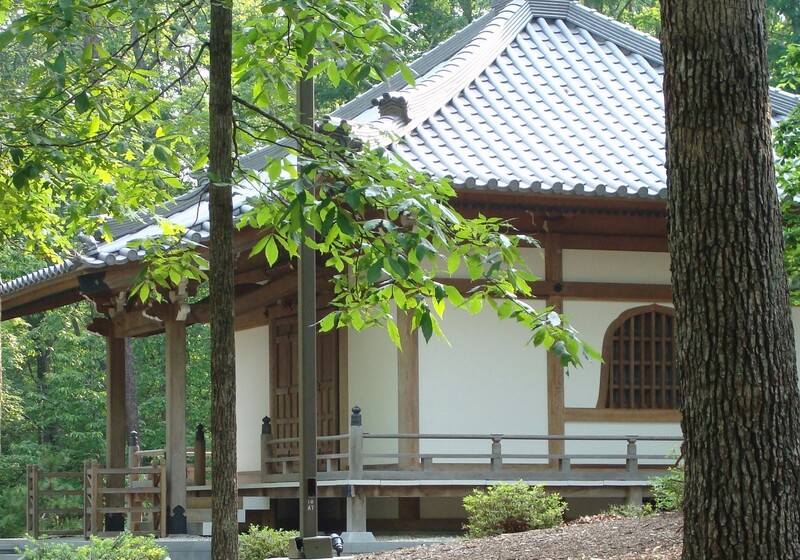 Walking meditation at Place of Peace Temple, from the Furman Univ video. Eubanks Sensei, Ven. Wayne, Ven. David.